Australia’s domestic and commercial water usage is as varied as our climate. Daily water consumption in coastal areas can drop to as little as 100 litres per person, while someone living inland might consume up to 800 litres. Yet wherever you live, the advice of a good licenced plumber can return real long-term savings – both on usage and in lower utility bills. Here’s how water-saving fixtures and appliances can help you get your bills under control and reduce your carbon footprint as well. A water efficiency audit is a straightforward appraisal of the plumbing in your building. Carried out by an expert plumber, a pipe inspection and water efficiency audit seeks to identify where water is being wasted and how much. 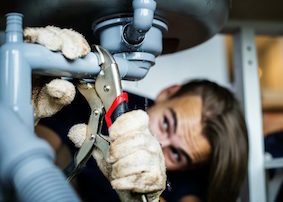 While the work of repairing and replacing fixtures and fittings in poor condition will likely require calling in a plumber, you can make great strides in water efficiency through choosing the right appliances too. Doing this is now easier through an initiative called WELS. The Water Efficiency Labelling and Standards (WELS) scheme is a ranking applied to plumbing products and white goods. It’s designed to help you choose more water efficient products by giving you an easy way to compare the water consumption of different fixtures and appliances. 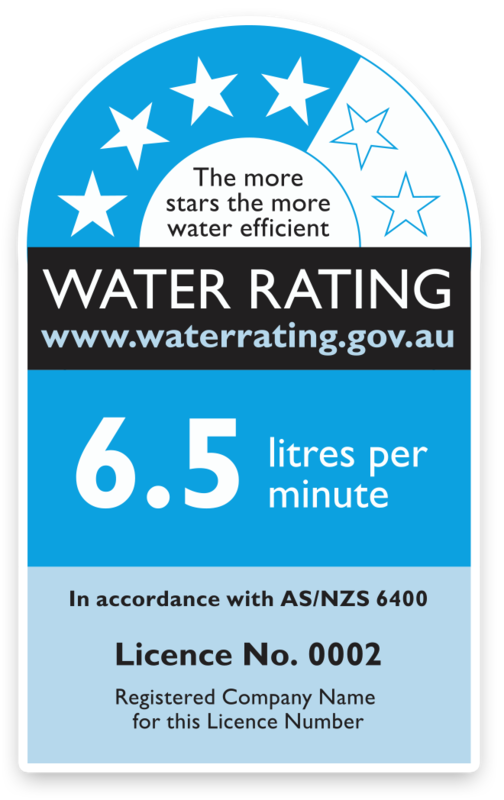 WELS-rated products can have up to 6 stars. The more stars a product has, the more water efficient it is. The labels also specify water consumption and water flow figures to help you understand how the product uses water. When shopping for your fixtures and appliances, you should always consider the WELS rating. Highly rated appliances might be more expensive to buy, but the money you save on utility bills will soon offset the extra cost. What appliances and fixtures are wasting water? When you talk to your plumber about saving water with smarter purchases and better usage, you’ll find out that your shower, toilet, washing machine and dishwasher offer the greatest scope for improvements. A good shower head can mean the difference between satisfying water pressure and feeling like you’ve just spread the days grime more evenly. But shower heads also play a major part in how much water your household uses. 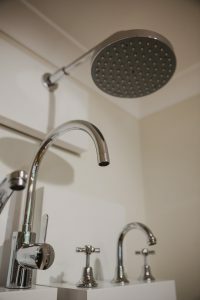 Older shower heads can use up to 15 to 20 litres of water per minute. That’s bad enough if you live alone, but what if you’re a large or growing family? That’s an empty hot water system and a lot of dollars down the drain. 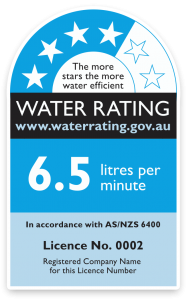 Shower heads can receive a max WELS rating of 3 stars, but every star counts. A 3-star shower head, for instance, will only use 6-9 litres per minute. It might not be pleasant to think about, but human beings go to the toilet a lot. As a result, old toilets are one of the biggest consumers of water in any Australian household or business premises. Old-school single-flush toilets can use up to 12 litres of water per flush. Dual-flush toilets are better, but even here some use up to 9 litres with every full flush. Switching to a 4-star dual flush toilet will immediately put a major dent in your water bill. These water-efficient cisterns are just as good at voiding waste, but only use 3.3 litres per flush to do it. Washing machines are one of the greatest labour-saving inventions of all time, but to save all that effort they use huge volumes of water. A front-loading door (which uses less water than top loaders). Reduced-load or automatic load-sensing functions. The use of a greywater system to recycle water for use in the garden. As well as saving time over manual washing up, the right dishwasher can actually save you water as well! An average household of 2-3 people will use 21 to 31.5 litres of water a day if manually washing dishes. Compare this with a 6-star dishwasher that holds 14 place settings: it’ll use just 9.5 litres per wash. Quite a difference. These sorts of savings, however, only apply for the most efficient new dishwashers. An old dishwasher should be avoided. It won’t return any savings on your water or power bills. So, now you’ve had your expert water efficiency audit and pipe inspection plus know how the WELS rating can help you make smarter purchases, what does it all mean in dollar terms? According to the Government’s Your Energy Savings website, Australians stand to save $2 billion on our energy and water bills by 2030 through the use of more water-efficient fixtures and appliances. That’s an average saving of $175 per household per year. Switching out an inefficient shower head can save you around 14,500 litres annually. Replacing a single-flush toilet can conserve 30,000 to 40,000 litres per year. Swapping an old dishwasher with a modern, water-efficient unit can save you 50% on combined utilities bills. Installing a new, high WELS rated washing machine can conserve up to 65% more water. As well as usually using less power to operate, water-efficient fixtures and appliances also require less water to be heated. So, more water-efficient appliances are also often more energy-efficient of themselves and put less load on your hot water system to boot. Efficient fixtures and appliances are a great way to cut down on your household’s water usage. So, if you’re worried about your water bills or shopping for new bathroom fittings and white goods, do yourself a favour and call a plumber for advice. Your budget – and the environment – will thank you.